Three people have been killed following a clash between Fulani Herdsmen and Indigenes in Rivers state and Delta state. Two indigenes were reportedly murdered in Omumu community, Ika South Local Council of Delta State on Monday evening, while one person was killed in Ogba-Egbema-Ndoni L.G.A, Rivers state following a clash between the Fulani cattle rearers and residents. The herdsmen had cohabited peacefully with members of the community until recently when they began to engage in activities that angered the indigenes. The herdsmen, according to reports, have turned farmlands into grazing lands and destroyed goods worth so much money, causing the indigenes to confront the herdsmen, resulting in the clash which took lives. 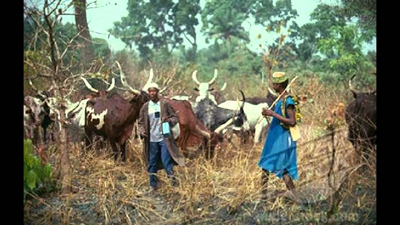 Former party chairman of the affected Omumu community in Delta state, Chief Joel Obuchi, spoke to The Guardian, stating that if urgent steps were not taken by security agents, the activities of the nomads might result in clashes of higher scale between the cattle rearers and their host communities. He urged the state government to look into the situation. Reacting to the killings, the Delta state Commissioner of Police, Zanna Ibrahim, said his men were on top of the situation and some men have been arrested and detained for further investigation. Meanwhile, some Delta state indigenes are calling for an investigation into the bribery allegation made by Fulani Herdsmen that they had offered payment in cash and cattle to some indigenes, who claimed to be leaders of the community, in exchange for the freedom to graze.